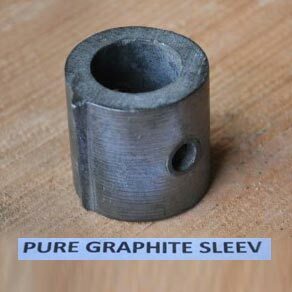 We are counted among the leading Manufacturers, Exporters and Suppliers of Graphite Sleeves which are highly-appreciated for their impeccable quality and superior strength. The Graphite Sleeves are widely used in the Nuclear Energy Sector. The Graphite Sleeves are cost-effective. We cater to bulk orders for the Graphite Sleeves.